Are you ready to share your knowledge and skills to improve global health? 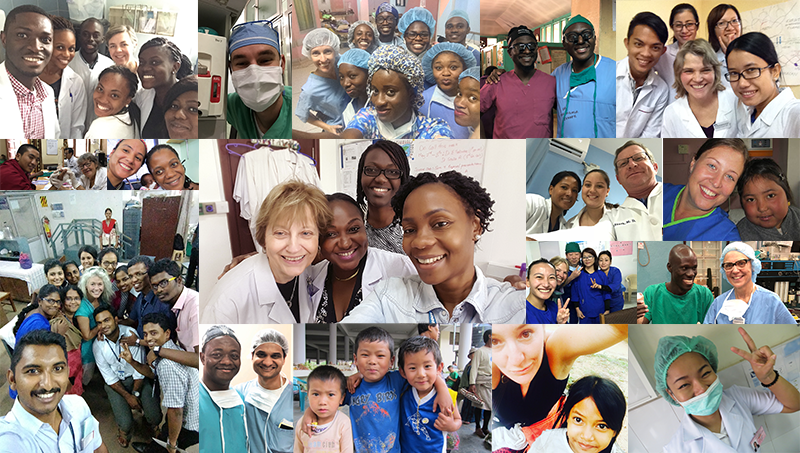 By becoming a volunteer with Health Volunteers Overseas, you’ll join a network of nearly 10,000 health professionals who have volunteered their time and expertise to teach, train and collaborate with local health providers in resource-scarce countries over the past 30+ years. Each year, we send hundreds of highly qualified health care professionals to our project sites around the world. You do not need previous formal teaching experience to volunteer with HVO, nor is it necessary to speak the local language since most of the training is conducted in English. We accept volunteer applications and schedule assignments throughout the year (learn about our placement process). With our focus on teaching and training local providers, all HVO volunteers have experience and knowledge to share, but specific requirements depend upon health specialty, location and nature of the training project (find a project). If you share our vision of a world where everyone, everywhere has access to quality care, delivered by local professionals, and you are committed to lifelong learning, please apply now!